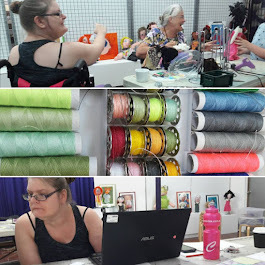 In 2013 I founded ArtISability, the program commenced as a three day workshop program for artists living with disability in the Ipswich Region. These workshops focused on both the artistic and professional skills needed to develop a visual arts program. After graduating from university I worked as a Christian Youth Worker at 22 this was the first time my speech disorder had even been noted by others as a potential problem in my working life. Some students were struggling with my speech impairment and I was not able to deliver the same content in the same time frame as my peers. Yet I was becoming an accomplished speaker and training others to deliver training. This soon was forgotten as I became chronically ill and battled for 20 years with chronic fatigue syndrome and depression. However during this time I became a poet, studied creative written, had a leadership positions in my church and tried studying to be a lay preacher. I worked with groups from 4 to speaking to 1000 youth at a youth speaker. My speech was never an issue in this environment. In 2000 I became a published author this meant promoting my book and a series of speaking appearances. One reason I decided I didn't want to be an author. I also regularly attended children's literature and writer's festivals. 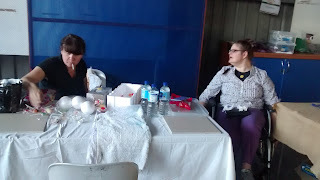 At the same time and was involved in the Ipswich poetry feast and lead some training on behalf of Disabilities Services Queensland as well as I continuing to teach Sunday School. During this period the only reference to my speech was while performing my poetry. Performance is a very different skill to public speaking, but my fellow poets always encouraged me to have ago, assuring me I was a valid member of the poetry community. There were days where my speech was completely clear and I shorn and then there were days when I wished I didn't walk on stage. However I developed the motto that if 'I didn't take opportunities to speak and perform poetry, I would deny myself that chance to shine'. However, there was some concern the powerful messages in my poetry at the time was being somewhat lost in my delivery. So we provided copies of my poem after I performed. As a suffer of chronic ill health a simple cold would really affect my speech, but I soldiered on as I always had plenty to say. Admittedly, their was one area in communication where my speech would fail me and that was when using the telephone. Using this technological device required the use a lot of energy and it requires me to do several difficult things at the same time. Coordinator my head and hand movements while I speak. While also controlling my breathing. Yey! For hands frees phones. However into the next decade of my life speech issues seemed limited to the phone as frustrating as that was. After a period of illness in 2012 I was bugged by a few people to apply for the leaders for tomorrow program. However I saw my life heading in a different direction I wanted to explore my art. Not realising the leadership program would be instrumental in my development as an artists and arts administration. I had tried studying art at TAFE in 2002, as definitely enjoyed experimenting with drawing and paints, I also knew I had some abilities in that area. However at that time my life was crowded by a number of leadership roles including on the Board of Community Access Transitional Service, where I eventually became the President. A role that required me to chair meetings and do public speaking. I was reluctant to take on this role due to my speech. Strangely the one industry I felt my disability was a handicap was the disability sector. Here I was also a client and thus dependent on others for help. The board assured that they would supported me in the role as President. I found this role to be one of the most rewarding roles I have ever undertaken. Not to mention the skills and the knowledge of the sector I gain, that now assist me in my current role as manager of Ignite Artists. During my leadership training I wanted to host an art retreat for people with disabilities (interesting I knew very little about art and different types of art). What I did know was about an organisation called Access Arts who supported artists with disabilities; how to write a grant application and Judy Baker). Judith was a fellow poet living with disability herself. how could I manage a program when I had a significant disability? how could I lead a art group or workshop when I had a communication disorder? Support workers of other clients would ask, "where's you teacher?" I am afraid I am it for the day! ALARA staff would confirm this and the had to put up with me for 2 hours. As new scenario was emerging, the real problem was not my speech but the fact I was someone in a senior leadership role with disability. Decimation from the sector I'd worked in for 15 years (unpaid) was still very real and those working in the sector do little to encourage and enable people with disabilities to achieve their goals. Despite my experience and qualifications there was an expectation I would continue in a unpaid position as project manager. During my leadership training despite 15 years experience I was viewed as a new comer. My skills and authority were under constantly questioning. Other people would call the grants officer at ICC for information to be referred back to me as the project manager. 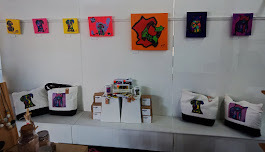 As far as the Ipswich Council was concerned I was the most quality person in disability arts in Ipswich at the time and they didn't understand why service providers and people I had sub-contracted had an issue with that. Eventually I stuck around long enough to make service provider realise I wasn't going anyway. However I could do little about the perceptions of other clients. We were clients and to many support workers that was that! People with disabilities in general are disempowered by society, and constantly reaffirmed as less than capable and an environment of co-dependency strongly exists in the disability sector. We are slow to move from a care model to a model of active participation in daily life. So it is natural for other people with disabilities to view me in the same light as themselves. 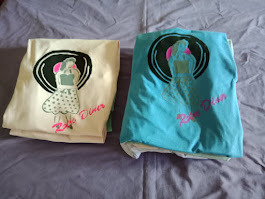 Gradually other clients see that I am able to be a voice for them and they can do things (like painting), they previously thought was impossible. If only I could find a way around that initial phone call where clients and support staff thought we were allowing other clients to answer the phone. Two years into running a program I designed, for the first time one of my own employees challenged me, 'surely you must know how confronting your speech is? The reality is I still to this day do not know what was meant by that statement. Building my business networks was never an issue and the right type of people seem to stick round. Personally I don't not think my speech is the real issue. The real issues is society as a whole devalues people with disabilities and policy makers continue to send mixed messages about our value in a community context. Statements like, Australia can't afford the National Disability Insurance Scheme, reflect how under valued people with disabilities are. Many people with disabilities are trained in their responses. In working one on one with my clients reveals just how disempowered they feel. Giving responses they assume a carer or myself wants to hear. 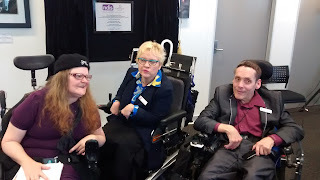 Even at the opening of the Ipswich NDIS office, I cringed to hear myself and other people with disabilities being referred as 'LESS fortunate' our language sends a clear message to those with disabilities that we are not equals. This is the environment in which I endeavour to build inroads so we can have an inclusive arts community. An environment where my message is continually lost in translation. Issues with my speech impairments provides a smoke screen to the ways society continues to disempower those living with disabilities.